My name is Aurora Wentao Wang. 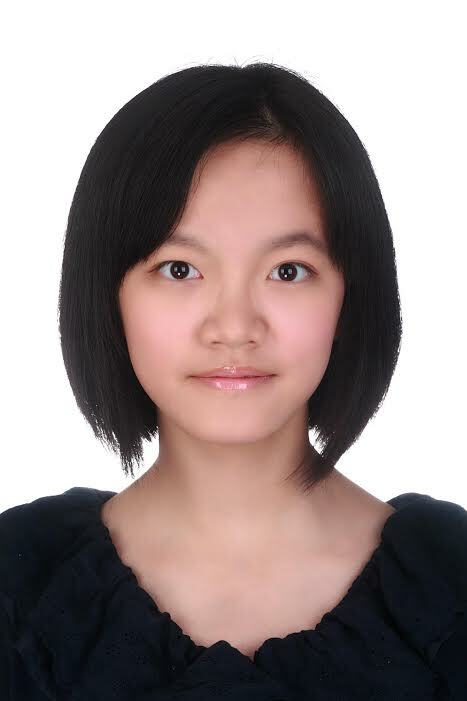 I was born and grew up in Shanghai, and I am currently a rising sophomore majoring in Accountancy and Japanese. I become interested in Japanese language and culture even since I was a child. At first I was exposed to mostly pop culture such as anime, but as I read more Japanese works of classics and became familiar with traditional culture practices such as Rakugo and Haiku, I was captivated by the historical glamor of Japan. My SLA Grant would provide me with precious opportunities to achieve my future goals both in academic and career. Japanese is one of my majors, so I strongly acknowledge the importance of mastering Japanese. My future plan for Japanese study upon return, first of all, is to advanced Japanese course to continue my study. In addition, I plan to apply for the position of Japanese tutor to help beginners with their study. I am also looking forward to perhaps spending a semester studying abroad in Japan, to further explore the culture context of Japan and polish my Japanese skills. When it comes to my career plan, I would like to become a bilingual accountant. To work in Big Four as a bilingual accountant has long been my career goal in the long term. Moreover, I am also looking forward to working as a Assistant Language Teacher in Japan through the JET program after graduation in the short term. To teach Japanese students English is a unique work experience I would love to gain. Therefore, my SLA Grant would endow me the chance to equip myself with advanced Japanese skills as well as acquaintance with Japanese norms. Academically, I plan to improve my oral as well as written Japanese. Because students are allowed only to speak Japanese during the PII program, I could effectively improve my weakest part of Japanese learning, oral Japanese, through intermittent practice with classmates and professors. Apart from that, I would probe more into reading different forms of Japanese, such as poems and journals after class. Reading all kinds of Japanese apart from texts would help me gain a better understanding of different word usages, and encourage me to imitate different writing styles to improve my writing. In addition, I also plan to immerse in lots of local cultural events and communication with local residents so that I could gain a better understanding of Japanese culture and norms, which would be beneficial to my future career. At the end of my summer study abroad, I will be able to communicate in Japanese fluently with native speakers on cultural and economic topics such as traditional practice and economy crisis. At the end of my summer study abroad, I will be able to demonstrate significant tolerance for ambiguity and a willingness to take intercultural risks by engaging in cultural and linguistic interactions that are beyond my level of mastery and comfort zone. At the end of my summer study abroad, I will be able to write papers of 2 or 3 pages that analyses the current ideology of Japanese in privacy and cultural tolerance in Japanese. First of all, I would immerse myself wholly in Japanese study and talk and write diaries only in Japanese. I would spend 3-4 hours every day after class to review and preview the vocal and grammar points. I would also actively ask the professor and my classmates questions to help discover my weak points. I would make flash cards for words and listen to Japanese broadcasts to further improve my listening. Moreover, I would take the advantage of study in Japan to participate more in cultural events such as flower arrangement and participate in the Kanazawa Hyakumangoku Festival, so that I could gain important insight for my senior thesis which would focus on Japanese cultural ideology. When it comes to home stay, I would grip the chance to practice my oral Japanese more with my host parents, and actively communicate with them to gain a better understanding of their view of Japan. I would try my best to join in their activities such as family trip, to further enhance our relationships. Through challenging courses and interaction with Japanese people of two months, I have not only improved my Japanese speaking skill, casual form in particular, but also memorized more complicated grammar structures and compound words. Staying in Kanazawa, I was also able to learn the unique dialect. For example, when demanding mandatory effort, instead of saying ?????? in standard Japanese, Kanazawa people would use the expression of ?????? to soften the tone. The Japanese art of speaking I became familiar with features equivocality and implication, and has gradually influenced my way to express my opinions. It shows respect as well as leave s room for reservedness. My language abroad experience this summer endows me with both advance in Japanese learning and more profound understanding of Japanese way of thinking. I challenged myself with giving speech in Japanese, and was rewarded to my surprise. I took part in lots of Japanese cultural events, tried making gold leaf chopsticks, visited Zen museum, and danced with local residents in the annual festival. Through exploring Kanazawa, I got the chance of sharing my experience with people, while in turn captivated by their stories of their life, their feelings towards this city. Homestay definitely made the best of my experience, as I grasped the serendipity of having Japanese Mom and Dad and exposed myself as much as possible to daily life at home. All these experiences were unparalleled. I plan to continue my language and intercultural study by attending language tables and taking courses in both Japanese language and literature, and applying for the position of Japanese language tutor. Next year I also plan to take either level 2 or 1 of the JLPT test, so I need to self-study on more complex grammar structures and vocabulary. Because PII program provides follow-up internship opportunities in Kanazawa next summer, I would definitely give a try so that I could actually test my language skill during work. Majoring in Japanese and Accountancy, I would seek for opportunities to work as a bilingual accountant if best in Japan, or applying for graduate school in the fields of modern Japanese history.